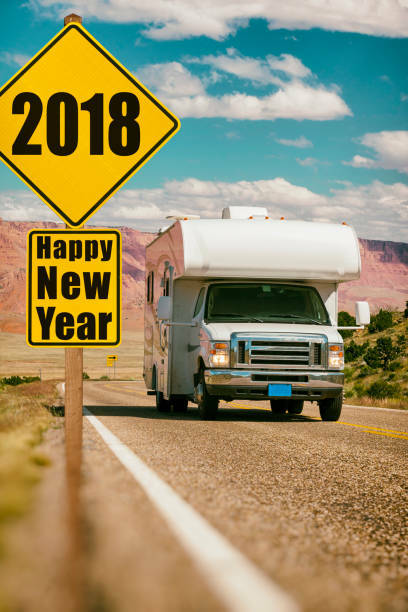 Happy New Year from all of us at Rivoli Rallies! We hope your 2018 is ridiculously fun! We are working hard to put the final details together for "Submerged in the Bayou". We have some Ridiculously Fun things planned and should have the details available within the next few days. 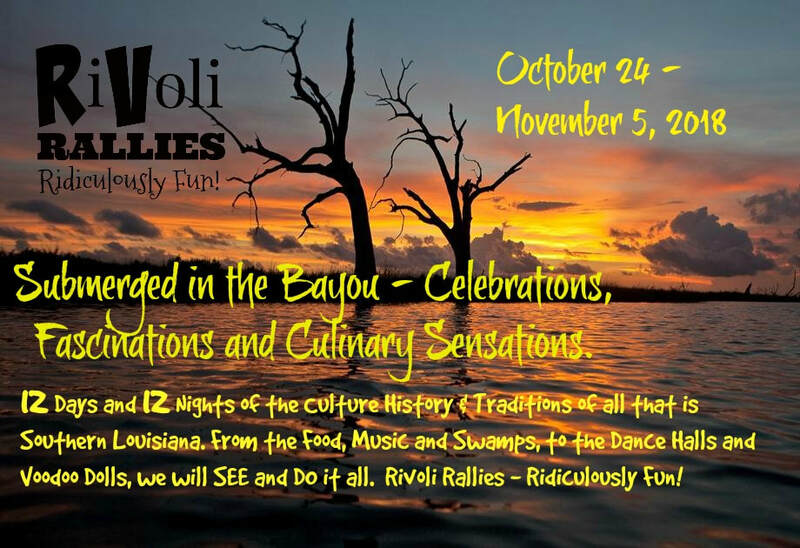 You won't want to miss out on this brand new rally to the Bayou! Place your Early Bird Deposit TODAY and join us as we boot scoot and boogie in the bayou! 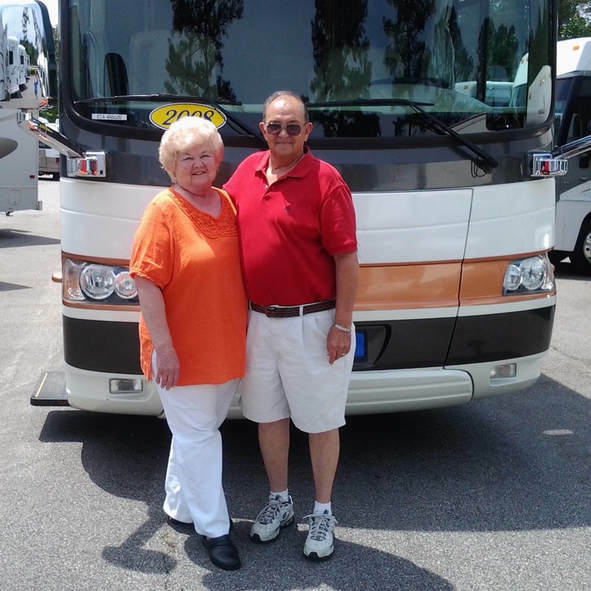 We are tickled pink to announce the addition of Art & Dot Seaman to our crazy fun loving bunch of characters. Art & Dot have agreed to add their contagious smiles to our line up as Funbassadors, spreading the Ridiculously Fun vision of RiVoli Rallies. Please do your best to give them a warm welcome and join them at one of our upcoming rallies. 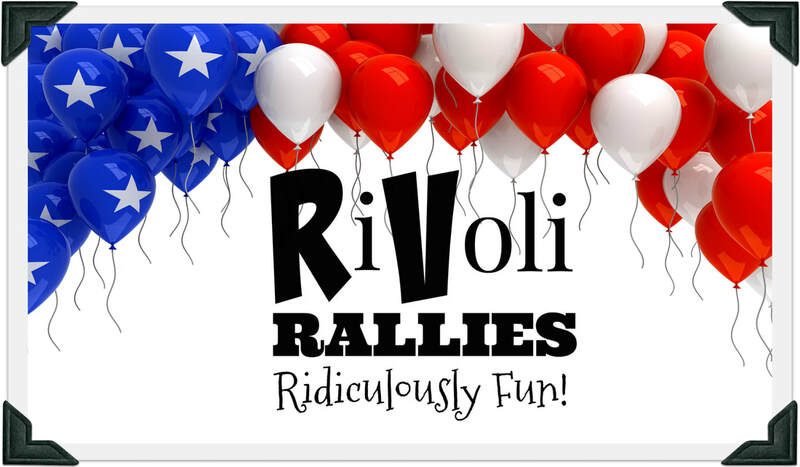 In the meantime, keep your eyes open for Art & Dot as they rock & roll out on the road recruiting RiVoli Rally Roadies. ​Early Bird Deposits of $250.00 are now being taken to reserve your spot.